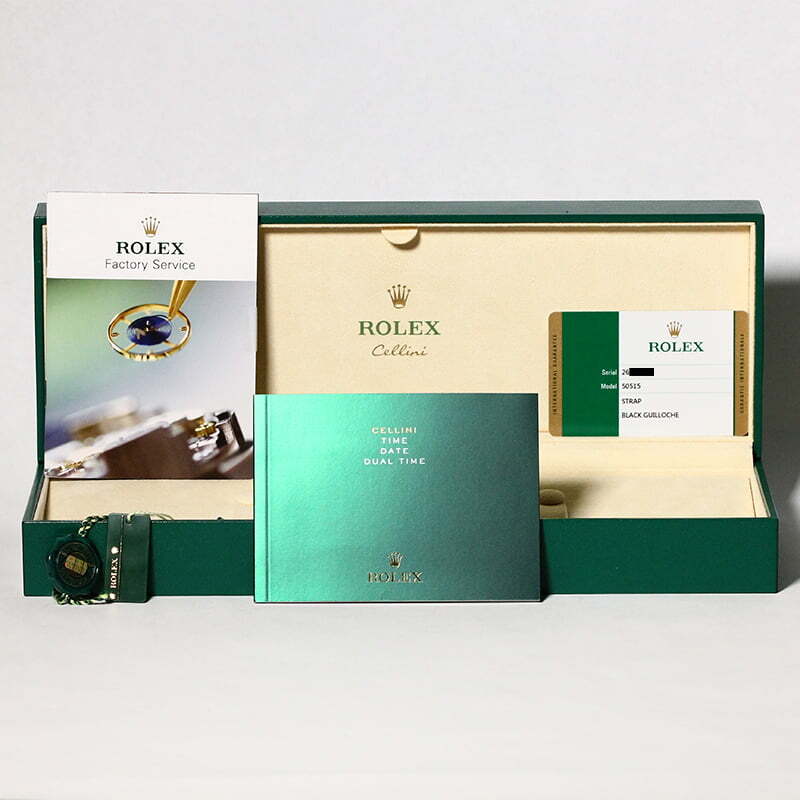 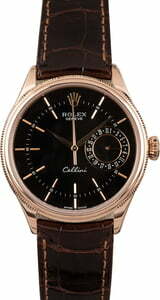 The rose gold Rolex Cellini 50515 has been met with great esteem among avid luxury watch collectors. 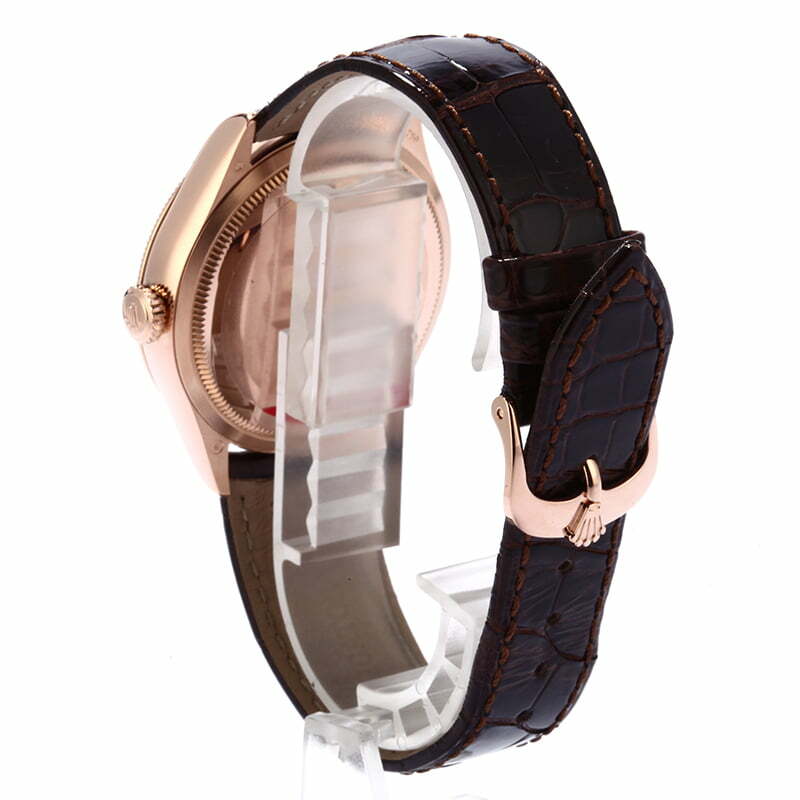 The case exudes finesse and sophisticated style in the form of a 39mm round case topped with a slim double bezel with a smooth and fluted design. 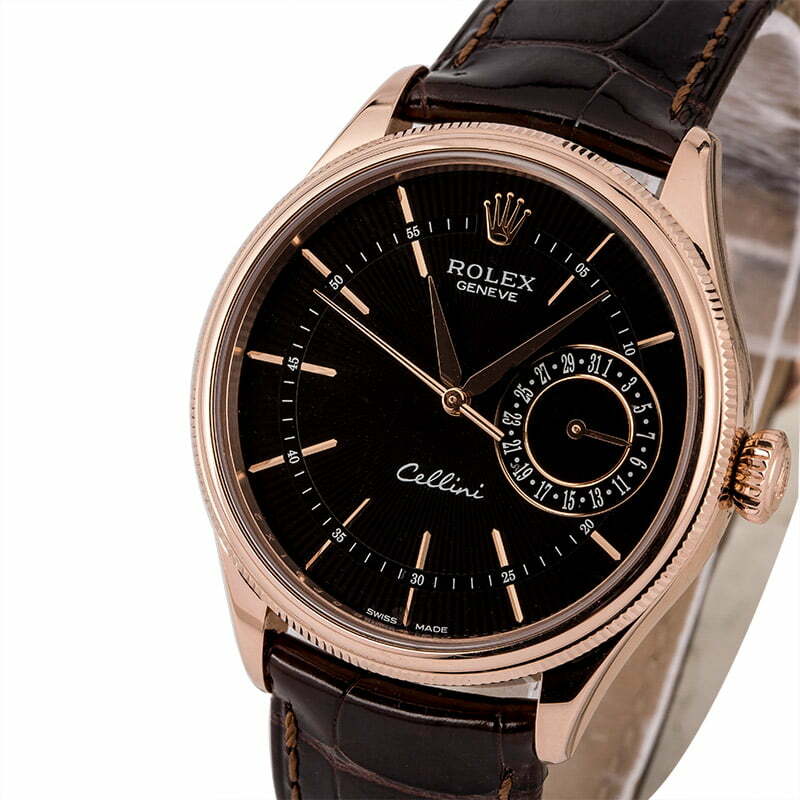 The black dial offers a dramatic contrast to the pink gold finish and displays the time with long, sleek index hour markers and sweeping hands. 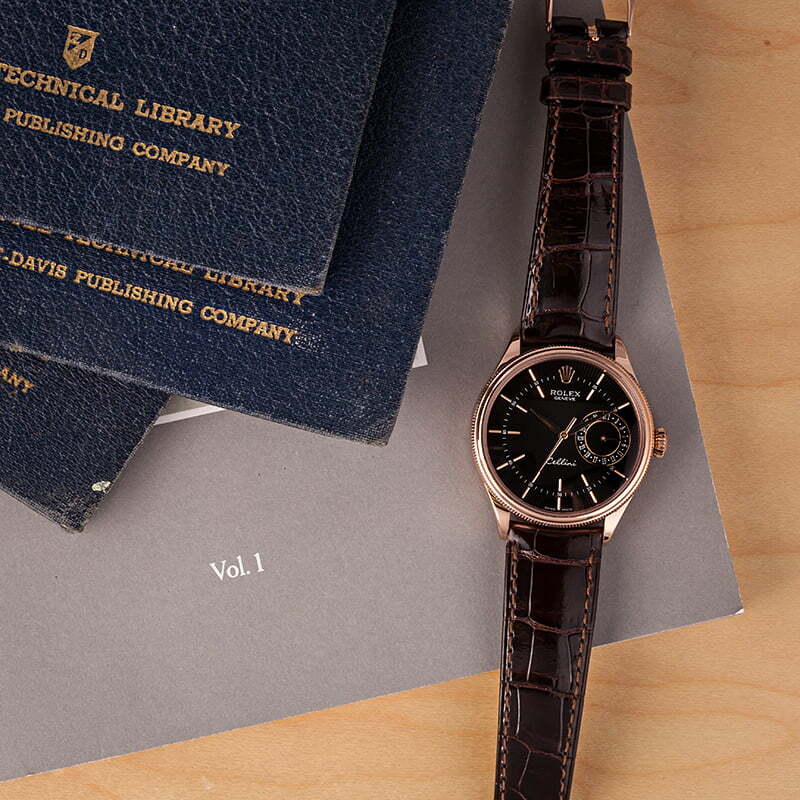 A 60-minute track circles the dial and a date subdial is located at the 3-hour marker. 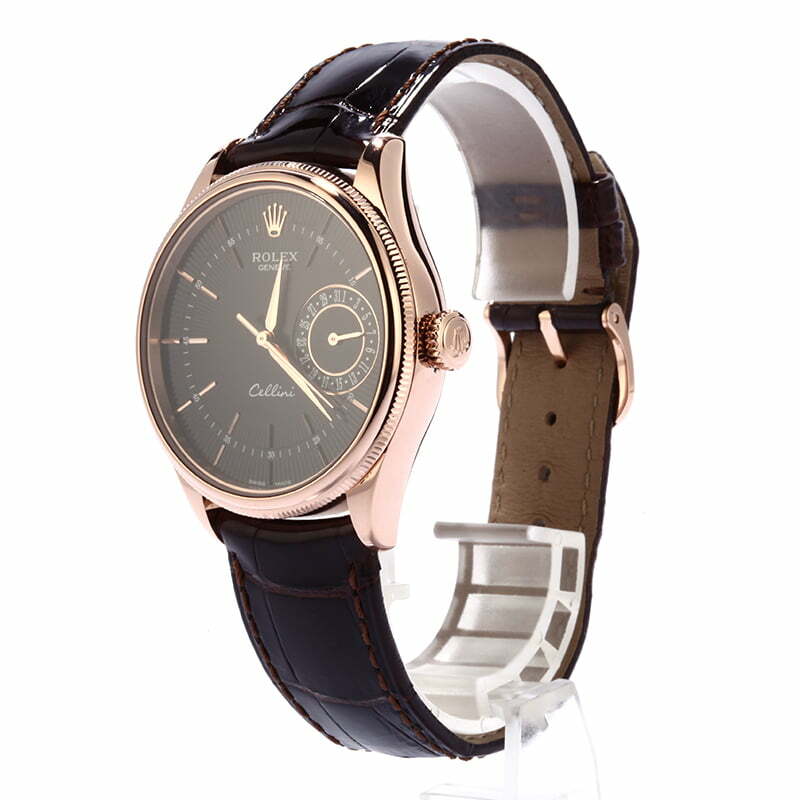 This handsome used Rolex wears on a genuine leather strap bracelet is powered by a calibre 3165 perpetual movement with a date complication and a 48-hour power reserve. 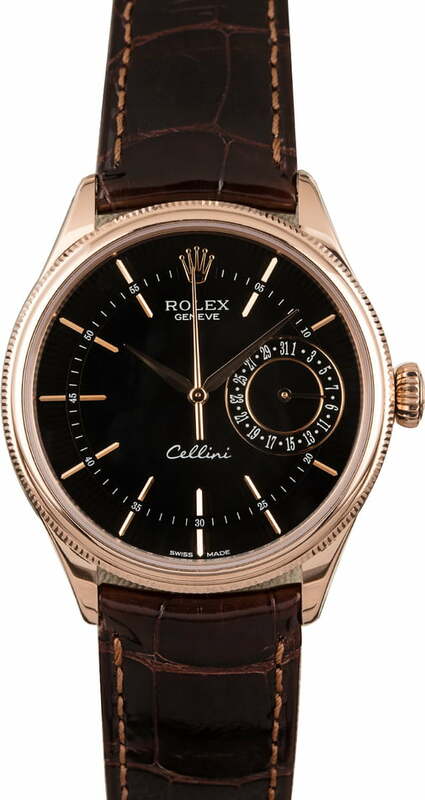 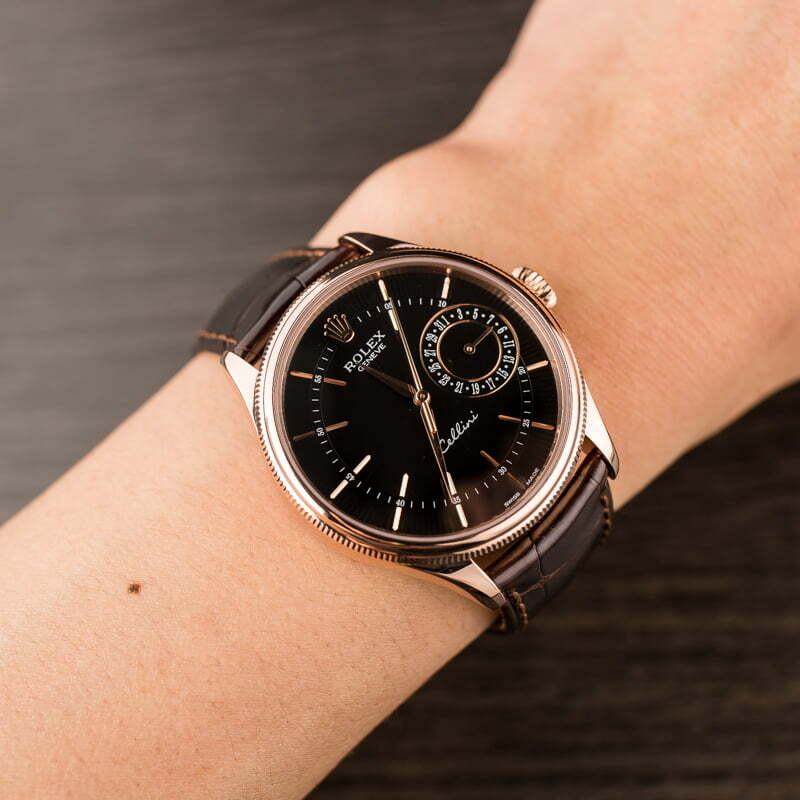 Exceptionally well-made, the Cellini 50515 will be a fixture of your luxury watch collection for many years to come.